Here at Dulwich Decking we supply and install wooden garden decking in Dulwich SE21, East Dulwich SE22, Herne Hill SE24 and all over South London. We specialise in the design and construction of all types of wooden decking - hardwood, softwood, treated, smooth and ribbed. We offer impartial advice on the choice of wood and our expertise will ensure that your deck is installed to the highest standards. A high quality, well designed deck looks stylish, transforming not only gardens and unused outdoor space but balconies and roof gardens. Wooden decks are easy to maintain, can be painted or stained to any colour, or left to weather naturally. 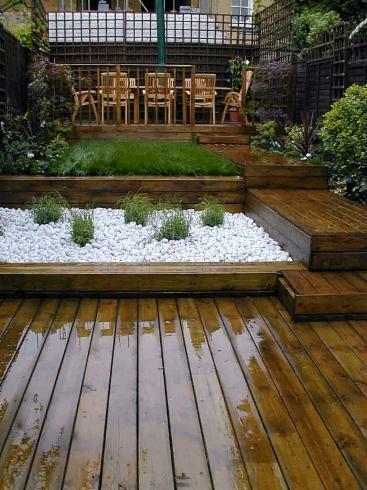 Good wooden decking acts as an extension of to your living space and is great for tables, chairs and barbecues.